MEDIVATORS (formerly Minntech Corporation), a Cantel Medical Company, is a medical technology innovator of life-impacting solutions for over 35 years. MEDIVATORS provides a full circle of infection prevention solutions through a comprehensive offering in two critical areas: endoscope reprocessing and endoscopy procedure products. The company's endoscope reprocessing products include a full range of endoscope reprocessing systems, high-level disinfectants and sterilants, detergents, leak testing and manual cleaning products, storage cabinets, endoscope process tracking and related consumables, accessories and supplies. MEDIVATORS offerings improve healthcare and touch million of lives in over 30 countries. MEDIVATORS also offers the most comprehensive line of endoscope reprocessing products including detergents, disinfectants, automated re-processors and verification systems. All of MEDIVATORS re-processors and disinfectants are 510(k) cleared by the FDA and carry the appropriate CE Mark. 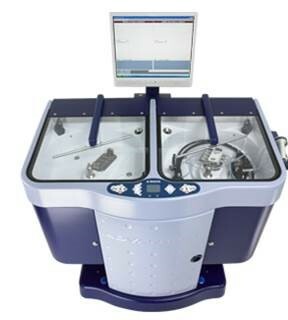 MEDIVATORS is the leader in endoscope reprocessing with the largest number of re-processors in-use worldwide. MEDIVATORS is the world leader in dialyzer reprocessing systems. Since the introduction of the Renatron® Dialyzer Reprocessing System, hundreds of millions of dialyzers have been reprocessed. MEDIVATORS continues to actively work with clinics to improve their reuse averages to reduce the environmental impact of dialysis and to keep dialyzer reprocessing more cost effective than the use of single-use dialyzers. In addition to the Renatron II 100 Series Dialyzer Reprocessing System®, MEDIVATORS also manufactures cold sterilants and hemodialysis concentrate. The MEDIVATORS proprietary hollow fiber membranes and therapeutic products are sold to biotechnology manufacturers that integrate the filter into their own proprietary systems and sold through third-party distributors. In addition to providing filters and filter technologies to biotech manufacturers, MEDIVATORS also have distribution rights to market and sell their finished products in specific international markets. MEDIVATORS technologies are used in hemo-concentrators and hemofilters for congestive heart failure, drug delivery, bio-artificial organs, aphersis, toxin removal and non-extra-corporeal applications. Revox Sterilization Solutions is a business unit dedicated to providing sterilization services for products such as medical devices, biologicals, tissue material and orthopedic implantable items. The business provides sterilization services as either an onsite system or as a contract solution. The Revox sterilization process uses a room temperature, vaporized, sterilant, which is injected into a pressurized sterilization chamber under controlled conditions. The Revox Sterilization process’s unique operating conditions, enable sterilization of products that other technologies are not able to provide. Revox Sterilization Solutions was developed by MEDIVATORS and is sold and marketed by Mar Cor Purification. Medivators and Mar Cor Purification are subsidiaries of Cantel Medical and share the same campus in Plymouth, MN.